Your E Z Choice - Offers Common Sense Tips And Tricks On You Tube! Link Is On This Page! We Are The Most Premium Source for painting since 1994, offering only the finest in craftsmanship and quality. For affordable and best of the best painting call us today and you'll surely tell a friend. Yes We Can Do Phone Quotes! If you just answer 8 questions! No big overhead to payout. Call me, Tommy, the only painter you'll ever need. 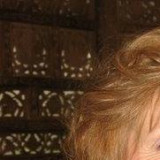 Testimonials & More information is on my Google Link (Click on icon) to left! We've set the standard for quality home improvement. We know that there are many contractors to choose from; some good, some bad. In some cases an unqualified contractor ignores building codes, manufacturer’s specifications and uses substandard materials. This perhaps is what has made Affordable Home Services stand out over the years. Affordable Home Services can not only take care of ALL of your home improvement needs but we back it up with a 2 year warranty!. 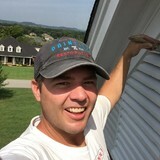 Quality Painting Solutions is Nashville’s most trusted interior and exterior painter also specializing in drywall, tiling, and flooring projects. We have built our reputation off of word-of-mouth clientele and through relationships with other home improvement professionals that have immediately recognized the high caliber work we do. Our company is known for our terrific communication throughout each job, making the process very smooth with every client we have the pleasure to work with. When you hire Quality Painting Solutions you can expect exceptional, high quality end results, respectful crews and management, and fairly priced bids on your home that will leave you happy for years to come. 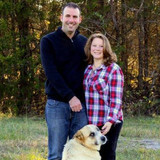 Hi, I'm Rob Whittington, owner of Rob's Paint a Room. 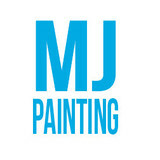 I have over 20 years of experience in the painting industry. I take pride in my work and guarantee satisfaction for each of my clients. When you are in need of a great Lebanon painting service, don't hesitate to call Straight Line Painting. Our team of professionals can help you with all your painting projects. If your looking for a company that puts the customer first then look no further. When you choose Straight Line Painting your getting a company that will be there everyday all day until your job is done. I as the owner promise to be at every job working along side my employee's making sure that you the customer are 100% satisfied. I pride my company on one slogan. "Do not make promises you can not keep". By this I will do as you ask and get the job done in the time frame I tell you. I know this sounds like it should be how every company works but trust me it is not. So please give us a call so we can come out and take a look at your project and go over any questions you may have. Thanks so much for considering Straight Line Painting for all your painting needs. About Us We Are Residential Specialists! Sharpton Painting is known for providing its customers with high-quality work at competitive prices. We have a reputation for completing projects quickly and efficiently. We bring years of experience and a service oriented approach to our customers. We specialize in both interior and exterior residential and commercial projects. Each job is guaranteed and our work always includes preparation and clean up. 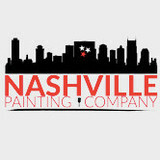 So whether you're a homeowner, business owner, interior designer or remodeling contractor, call the Top Rated Painting Contractor in Greater Nashville, TN today for a FREE ESTIMATE and superior service! For more information please review our bio on each page within our website to get familiar with our company. Residential / Commercial Painting Contractor You are sure to find what you are looking for in our complete list of Exterior Painting Services and Interior Painting Services. From prep, priming and painting to carpentry repairs, from specialty coating to help with color selection, we are the painting company for all your painting needs. We have completed thousands of painting projects, many in your neighborhood, most likely for your neighbors. Read our unedited and unbiased Reviews - we won Best of Houzz in Satisfaction. You'll be meeting with Jerry Prosises, the owner, or one of our sales associate, to determine your exact needs and they will create a written, detailed, fixed price proposal for you. As for our top-notch crews - we only hire career painters who've shown a commitment to their craft and a focus on customer care.